Much to the disappointment of our office dogs, we're not actually taking a road trip. Rather, the roadmap we are pulling out will be to our development timeline (much to our excitement). In the neverending quest to improve our product, we will soon be publishing our roadmap. This move will let you know about new features and fixes we are working on and the general quarter they should be available. It will give a rough idea of when to anticipate new releases, and what will be included in them. Once this goes live, you will no longer need to ask us, "Are you going to be adding "dinosaur cloning" to your roadmap?". You can just look it up and see if it's there. By the way, we've seen that movie and the answer will always be a resounding "no". Feel free to check for other more appropriate (and less dangerous) things though. Please keep an eye out here for when we launch this new offering. Of course, we are always open to new ideas and welcome any feedback you have for us. 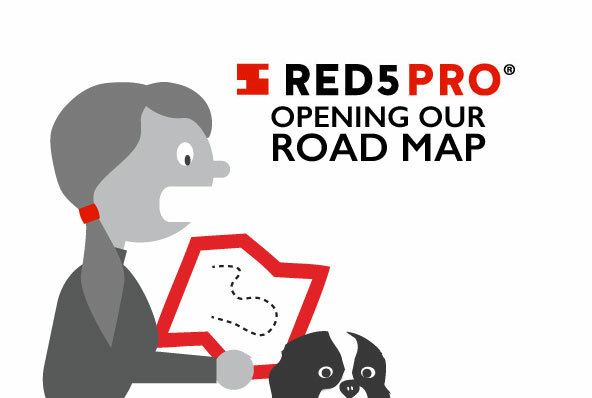 Please send any questions, comments or concerns you have to info@red5pro.com. We'd love to hear from you!